When you stay in St Tropez, you have the perfect opportunity to take in the sights of this chic town and enjoy some time relaxing and taking in the ambiance. 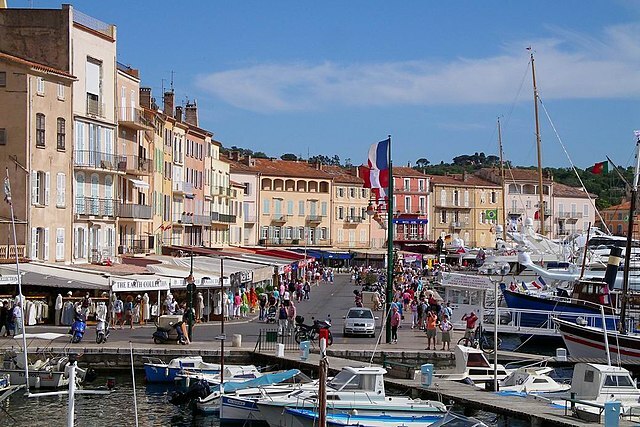 Quaint and bustling, St Tropez Harbour is a delight. In the heart of St. Tropez, nestled in the midst of Plane trees over a century old, you’ll find the picturesque Place de Lices. It’s a perfect place to sit and enjoy a coffee and if you’re lucky you can sit on a bench and watch the locals playing a casual game of boules. On a Saturday, a market springs up in the square and you can find a mix of fresh produce, cheese, olives and cured meats alongside antiques, bric-a-brac and tourist tat. Pick up a fresh croissant from one of the boulangerie stalls and take a stroll around the market. There’s plenty in the market on which you can feast your eyes and your stomach but the prices are likely to be steeper than you’ll find elsewhere. The Cote d’Azur can be pricey at the best of times but in St Tropez, and the Market in particular, you can pay a premium. It should be a crime to visit St Tropez and not take a trip to the Citadelle. As the foremost historical site in St Tropez, it’s worth a visit in its own right and you can learn more about the history of the area by paying a modest 3€ to go inside the castle and explore. The view from the Cittadelle is spectacular. Historical discovery isn’t the only draw of the Citadelle. The site offers the most spectacular views of St Tropez Bay and the old village. For keen photographers, the vista gives the best angle for dramatic pictures of the town. If you decide to go, bear in mind that you’ll need some sturdy footwear as it’s up a dirt-track footpath on a small hill. While St Tropez these days may be synonymous with luxurious living, it grew from humble beginnings as a fishing village with many working people living cheek-by-jowl in the cottages around the harbour. One of the remnants of this era is Lavoir Vasserot. Built as a communal wash-house where people could take their laundry in 1862, the building was later listed as a historical monument and named after the architect who designed it. Today, Lavoir Vasserot serves as an art gallery and adds to the cultural richness of St Tropez. With a regular turnover of exhibitions in mixed artistic media such as photography and painting, there’s an opportunity to see how the creative people of St Tropez and its surrounding area express themselves. Whilst we’re on the subject of art, there’s another gallery that deserves a mention in the highlights of St Tropez’ cultural hot-spots. The Annonciade has key pieces from the careers of some of France’s most celebrated artists alongside some less well-known but no less talented painters. A particular highlight of the museum is the exhibition of works by Henri Matisse. As art lovers will know, Matisse had a life-long friendship with iconic painter Pablo Picasso, and amongst the pieces of Matisse’s work in the gallery you can clearly see the way in which Picasso’s style influenced Matisse’s work painted at the turn of the 20th century. 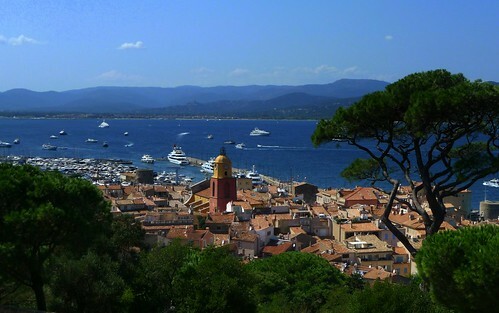 St Tropez is a wonderful place to visit and contains some of the finest villas in France. Lounge and watch the promenade of fashionable people wander along the harbour from the comfort of a shady terrace. However, if you should choose to strike out from beneath your parasol, the town has a host of fine cultural attractions to interest and inspire. Image Credits: Wikipedia and jsmgr.